Trees have always been planted as symbolic gestures. And not only is Greater Cleveland a good example—it’s one of the very first regions to coordinate a living memorial to soldiers who gave their lives in the First World War. A pair of Liberty Oaks on North Park Blvd. near Woodmere Drive. Following the Armistice (November 11, 1918), American Legion posts, garden clubs, school children, communities and families around the country planted trees, usually as part of dignified ceremonies. 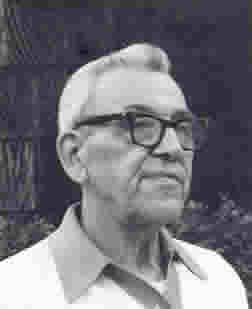 Indeed, that very month, American Forests Association Board Chairman Charles Lathrop Pack called for “a new form of monument—a memorial that lives.” Greater Clevelanders lost little time; they mobilized to such a forceful extent that by Memorial Day, in 1919, the planting of a long chain of “Liberty Oaks” was already underway. In fact, the plan for Cleveland actually began before the War ended. Cleveland Councilman Jerry R. Zmunt, in a July 7, 1918 article in The Cleveland Plain Dealer, noted: “This is a splendid way of honoring our boys. It is particularly fitting that one of our finest boulevards in the city be chosen. The naming of trees after our dead heroes is the best tribute we can pay them, and their names will thus be perpetuated in a living thing.” The American Forest Association applauded the idea and urged other communities to follow suit. Under the leadership of Councilman Zmunt, Cleveland Director of Parks and Public Property Floyd E. Waite, and City Forester Harry C. Hyatt, a path was selected. On July 15, 1918, Ordinance 47590 was passed—“relative to changing North Park Boulevard, running through Ambler Park, Rockefeller Park and Shaker Heights Park from Cedar to Center Road to ‘Liberty Row.’” The reference to North Park Boulevard within Cleveland City borders is confusing (even though the Shaker Lakes themselves are owned by the city of Cleveland) and it is unclear over what time span the planting was accomplished. Still, the obvious intent was for Liberty Row to begin at Gordon Park by Lake Erie; move down what had been Lower Boulevard through Gordon, Rockefeller, and Wade Parks; wind up Ambler Drive into Cleveland Heights; and then continue along North Park Boulevard through Cleveland Heights and Shaker Heights. 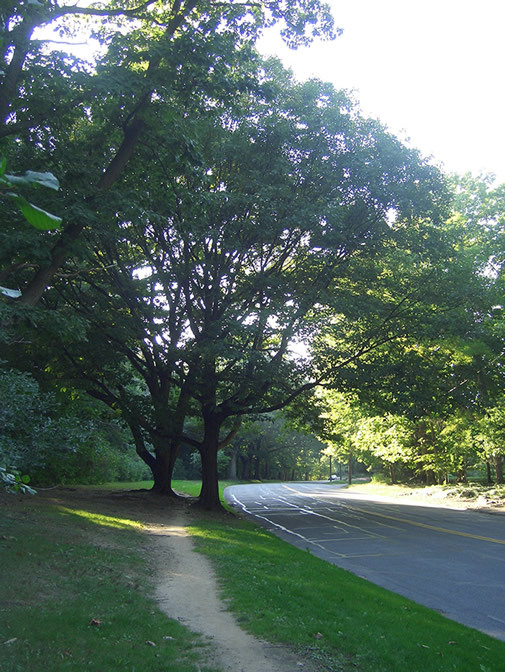 This path would take advantage of Cleveland’s East Side chain of parkland. Additional memorials would be planted and installed later in other areas, including oaks around Sterling Playground at East 31st and St. Clair and sycamores in front of the Tom Johnson monument on Public Square. Planting and casting began shortly thereafter, and by May of 1919 a dedication ceremony was held. Concurrent with the event, a poem by W.R. Rose was printed in The Cleveland Plain Dealer. It concluded: The little trees that line the way / Sad symbols of a nation’s pride / Are etched against the wintry gray / Oh let them live for those who died! 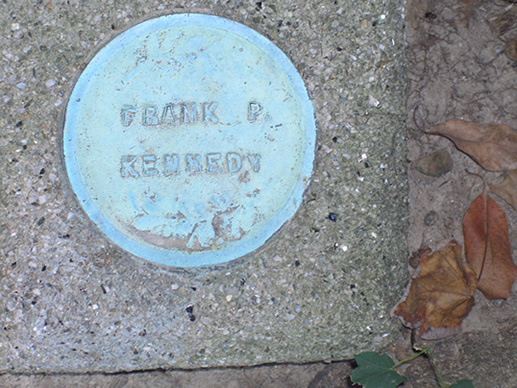 In 2007, a good percentage of North Park’s Liberty Oaks and plaques remain intact. Those along Martin Luther Drive have fared less well—often succumbing to theft and sudden encounters with out-of-control automobiles. Nevertheless, the spirit of the Oaks and the majesty they bring to our cities is uncompromised. For many years American Legion Glenville Post 130 decorated the plaques. On patriotic holidays, flags are still placed by at least some of the remaining markers. “When I was in the fourth grade, which would have been in 1921, I remember a very unusual day in our lives. This was soon after World War I and Marshal Ferdinand Foch, the great French hero, was in Cleveland being honored by the community. On this particular November day there was a caravan with Foch, Ambassador Myron T. Herrick and other notables traveling up North Park Boulevard. All the kids were dismissed from school to witness the processional. We lined the roadway with wonderment in our eyes, seeing the famous general and the whole entourage passing slowly past. We then planted trees, which today still stand there all along North Park. If you look, you will see a little round bronze plate embedded in a cement stone with the name of a soldier who gave his life in the war. Edward Spears , a retired social worker who has always lived in Cleveland Heights, recalls a very special day in his young life. Bronze plaques are approximately 4.25 inches in diameter and .5 inches thick. Each contains the name of a fallen soldier and, in many cases, the day he died. On some plaques, a sprig of olive branches is still visible at the top and bottom. The markers were designed and cast by Fischer and Sons of Cleveland OH and cost $10 apiece at the time.